It’s a warm and sunny morning in mid-September as Stacy Peltier and her colleagues on NASA’s Coral Reef Airborne Laboratory (CORAL) mission survey team prepare for their first day in the water at Heron Island, a 42-acre coral cay about 45 miles off the coast of Queensland, Australia. As she places a Nikon D5500 camera into an underwater housing, several sharks swim nearby in the aquamarine waters of the island’s small harbor dredged out of the reef. “I’ve never jumped in the water with tons of sharks before,” she quips with nervous laughter. Fortunately for her and her team, the sharks found around Heron Island aren’t particularly dangerous to humans. 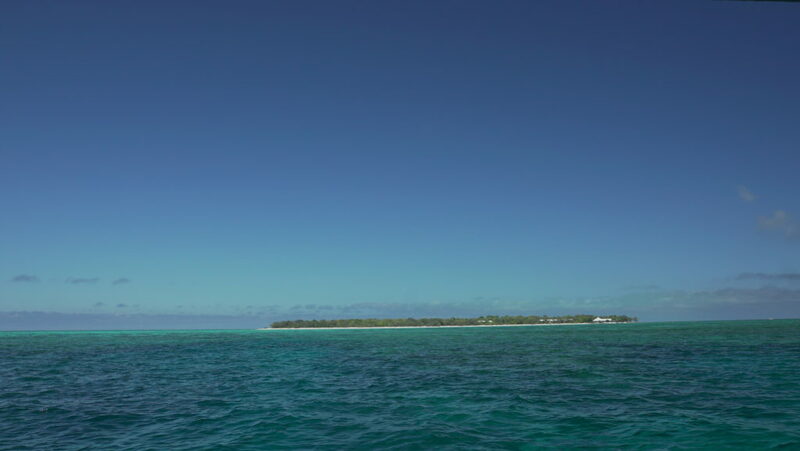 The research technician from the Bermuda Institute of Ocean Sciences (BIOS) and her three teammates have come to Heron Island as one of three independent, but coordinated, in-water validation teams that are collecting data on reef condition at Australia’s Heron and Lizard Islands during CORAL’s two-month Great Barrier Reef study. This “ground truth” data will be compared with data collected from the air by NASA’s Portable Remote Imaging Spectrometer (PRISM) instrument to validate the accuracy of the PRISM data and map products. Three fundamental types of data are being gathered: water optics, reef benthic cover and reef metabolism. Benthic cover is what grows on the seafloor. Reef benthic communities typically consist of a combination of coral, algae and sand. Over the next week, the benthic cover team is collecting a series of high-resolution photomosaics that will depict the composition of the various seafloor communities at multiple spots around the Heron Island reef. Surveys of reef benthic cover are needed to validate some of CORAL’s more advanced data products. The CORAL mission is collecting benthic cover data for 160 to 250 separate sites across each reef validation location in the global mission. The team will analyze the mosaics to make a highly accurate determination of the percentages of various types of benthic cover in each photo. 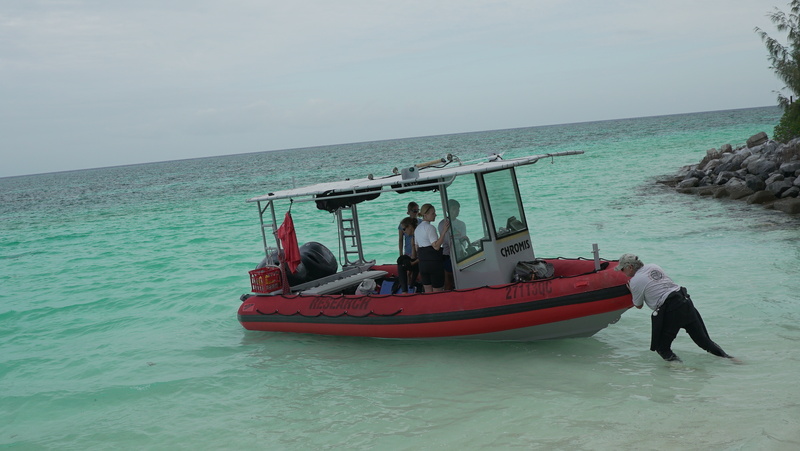 By 9 a.m., the boat is loaded with the team’s research equipment and scuba gear. Peltier, co-skipper on today’s trip, slowly guides the Heron Island Research Station research vessel Chromis out of the harbor. 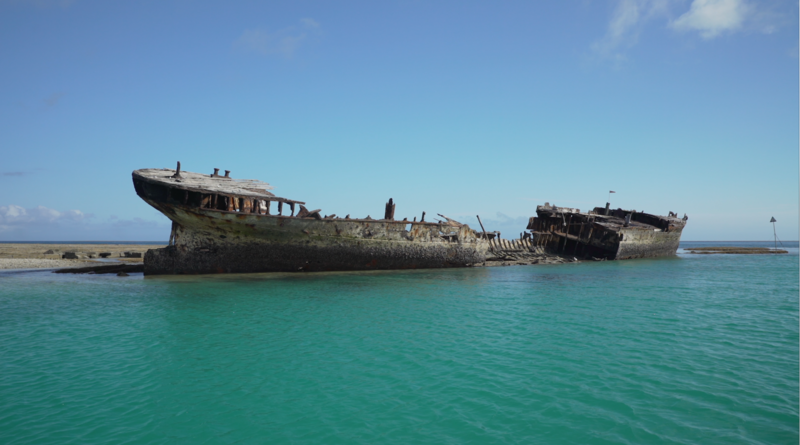 As they head out, the ghostly, rusted wreck of the HMCS, Australia’s first official naval vessel, sits on its side on the reef crest at the entrance to the harbor. On board with Peltier are teammates Yvonne Sawall, a postdoctoral scientist at BIOS; research technician Andrea Millan and team leader Steven Dollar, both of the University of Hawaii; and NASA CORAL project scientist Michelle Gierach, who’s come along to observe and assist from the boat. Peltier radios the research station to report that there are seven passengers on board and that we are expected back to harbor at 4 p.m.
“Research, Research, Research, this is Chromis,” she says. The station confirms, and informs us that the Gulfstream IV aircraft carrying NASA’s PRISM instrument is on its way to fly over the Heron Island region and is expected soon. Our first dive point is an area called Blue Pools. The team attaches the boat to a mooring buoy. The water depth is about 20 feet. The team quickly gets to work, donning scuba gear and plopping backward into the 72-degree Fahrenheit water. The skipper does not get in the water; she must remain with the boat at all times for safety purposes. The divers are handed one of the three cameras on board and they submerge. It’s painstaking work. One team member first lays 1.6-foot-long poles across the seafloor to delineate 33-by-33 foot square plots, a size that correlates to the spatial resolution of CORAL’s PRISM instrument from 28,000 feet above sea level. The other team members use their cameras to photograph the entire plot, with one diver scanning east to west and the other scanning north to south, swimming about 6 feet above the seafloor. A snorkeler at the water’s surface carries a handheld GPS unit to precisely mark the location of the plots to correlate with the plane data. The team takes up to 1,000 pictures per plot, a process that takes 15-20 minutes. On a typical day the team will do two to three locations, collecting measurements from three to four sites at each location. They start in the deepest water, then move up the slope of the reef toward shore. If the water becomes too shallow they snorkel instead of scuba. Later, back on land, a special software tool called Agisoft PhotoScan will stitch all the photographs together into a mosaic, which scientists can then use to characterize what the community structure of the coral reef is at the given spot. “We want to get as many different benthic community types as possible, and then match up the mosaics with the pictures we get from the airplane,” says Sawall, a postdoc with CORAL Principal Investigator Eric Hochberg at BIOS, where she specializes in coral metabolism. 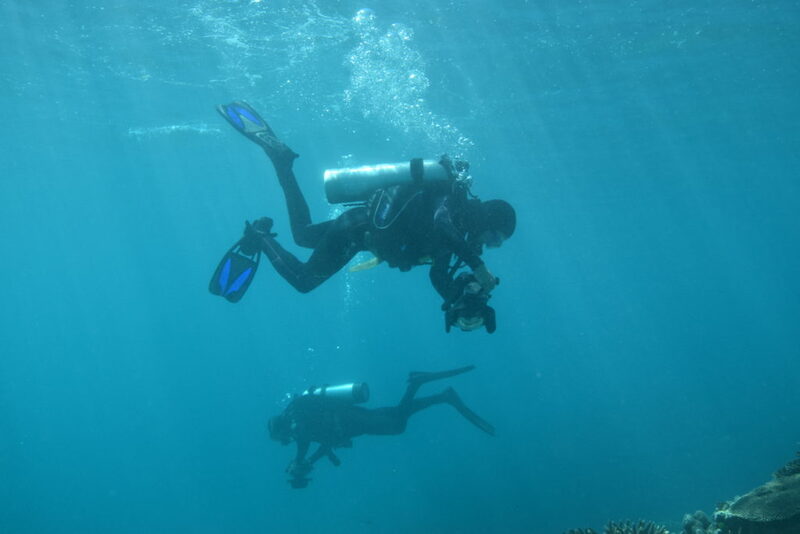 The team finishes its work at the first dive location, which is primarily rubble (rocks, sand and dead coral), then they move closer to the reef, which consists of a variety of living corals occurring in a multitude of growth forms. 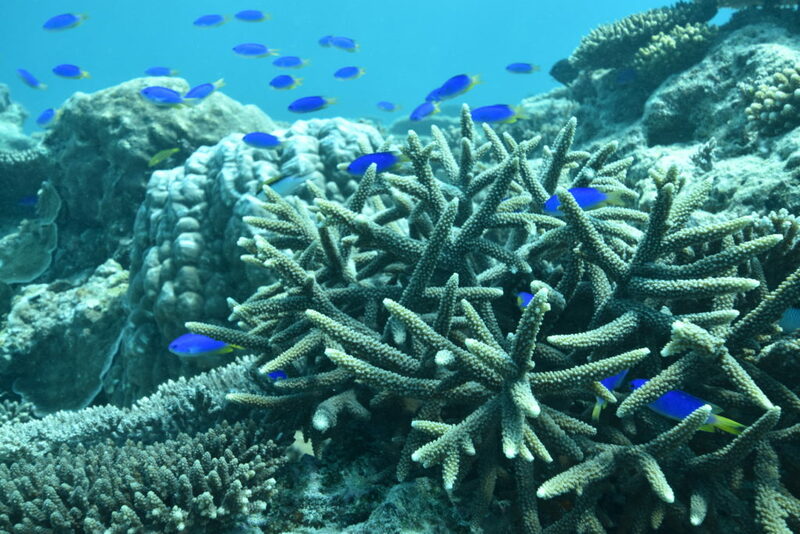 The highest coral cover is typically found on the outside and slope of a reef, while inside the reef lagoon, algae and sand dominate the bottom. Their first dive location completed, the team stops briefly to munch on some Tim Tams, Australian chocolate-covered biscuits; these have a distinct coconut taste. As they break, schools of little black fish swim next to and below the boat, attracted by our presence. One of the team spots a green sea turtle swimming nearby. The seas are calm. I ask Peltier to describe what she’s seeing below the surface. Next it’s off to our second survey location, a place called Tenements 2. The team repeats the process of photographing plots of seafloor. As they work, the tide continues to go out, exposing coral heads, which rise like a modern-day Atlantis from the seafloor. Waves begin cresting as they hit the top of the reef. Flocks of birds circle above, looking for lunch. Their second site completed, the team is ready for lunch themselves. I ask Millan, a native of Troy, Michigan, with the University of Hawaii about her impressions of the second dive site. “I was surprised by the large diversity of coral, including fire coral,” she says. “There was a big school of unicorn fish. I wanted to go take a look at some things, but I had to keep telling myself, ‘Just keep swimming, stay on the square,’” she says with a laugh. After lunch, it’s off to the final site: Libby’s Lair. 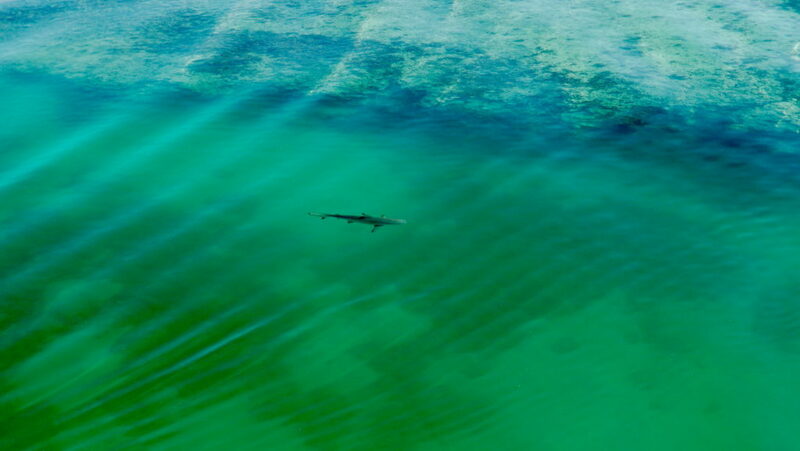 Millan first does a quick snorkel trip to survey the location. It looks suitable, so the team suits up and goes back in the water. They report lots of varieties of coral and big fish. 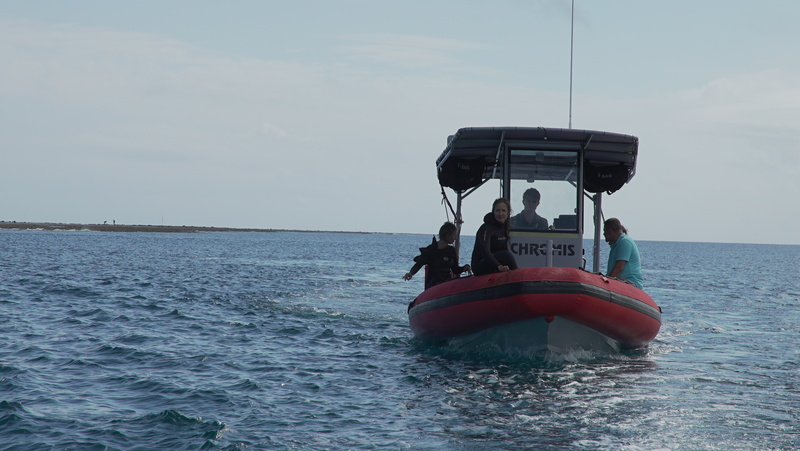 As the day wraps up, the team is joined by another boat carrying two CORAL Australian collaborators from the University of Queensland: Stuart Phinn and Chris Roelfsema. 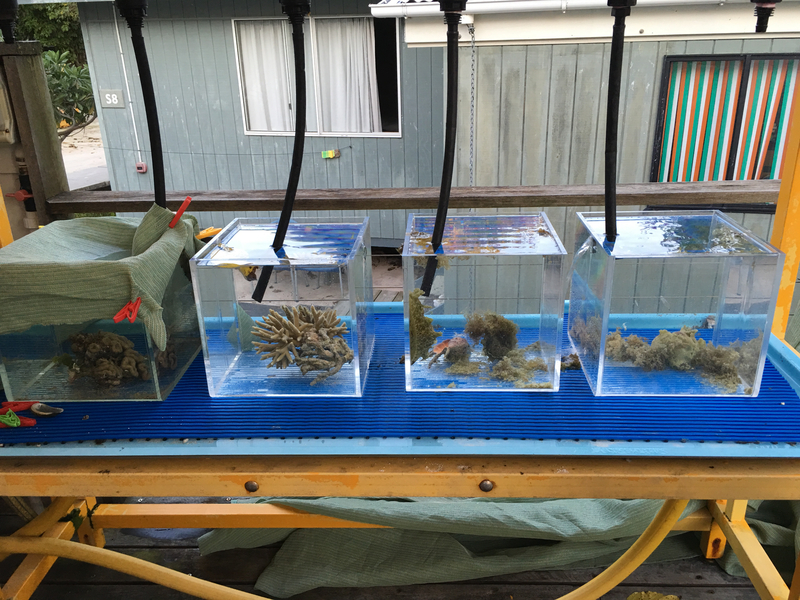 They are doing separate in-water validation work in conjunction with the other CORAL validation teams. Chris joins us in the water, taking photos and video. It’s now a little after 3 p.m., and our team has completed its surveys for the day. It’s time to head back to the harbor, unload the boat and clean the equipment. Today the team photographed seven sites, while PRISM aboard the Gulfstream IV collected 17 lines of data on a nearly 6-hour flight. 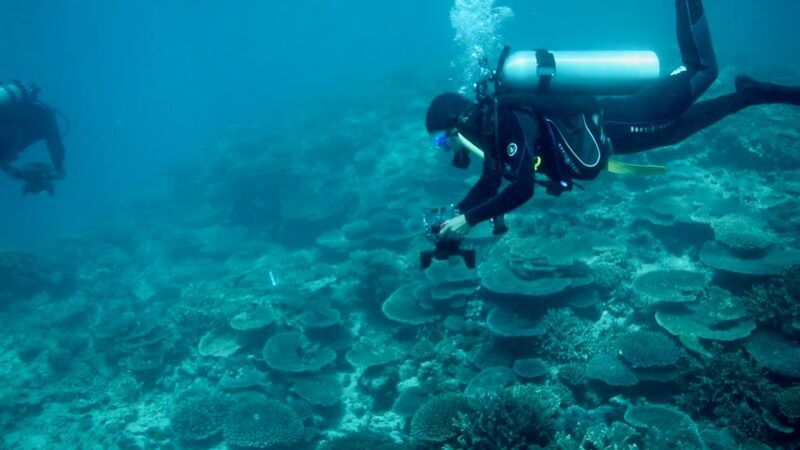 Today’s activities, combined with the CORAL team’s previous flights up and down the Great Barrier Reef and in-water validation activities at Lizard Island, mean that CORAL is well on its way to achieving its Level 1 science objectives in Australia. All in all, a good day by air and sea. Heron Island is a 42-acre coral cay located within the World Heritage-listed Great Barrier Reef Marine Park, 45 miles (72 kilometers) off the coast of Queensland, Australia. It is surrounded by a 5-mile-long (8-kilometer-long) platform reef that drains at low tide to form a large lagoon around the island. First discovered in 1843, Heron Island housed a turtle canning factory in the 1920s, but today it is best known as a popular destination for tourists and researchers alike. It was declared a national park in 1943. The island includes a resort and the Heron Island Research Station, Australia’s largest university marine research facility, which is operated by the University of Queensland. The station is involved in research and education on marine sciences and the marine environment. 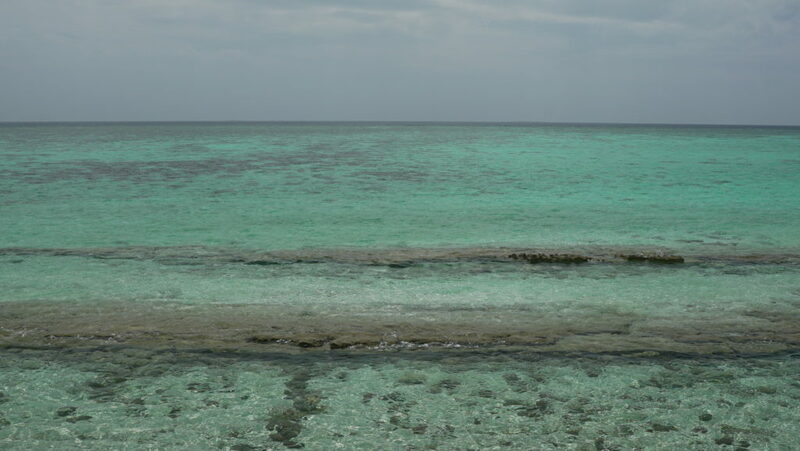 Heron Island and its surrounding reef teem with life, including sea turtles, whales, sharks, rays, sea cucumbers, sea stars, Christmas tree worms, sea hares, algae, many other varieties of fish, crabs, shrimp, and of course many different species of coral. Named after the reef herons seen feeding on the reef flats, the island is a bird haven: In the summer its bird population is estimated at around 200,000. Flora include grasses, herbs and trees.